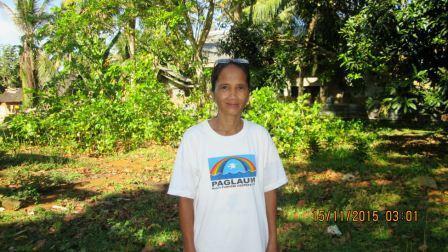 Pacita is 51 years old and has two children of adult age. She owns cocoa land and rice fields that she cultivates and integrates other commodities for more income. Pacita approached Paglaum MPC to purchase bags of fertilizers and pesticides. A $175 microloan allows her to take advantage of the high demand of rice grains. The money from the microloan is going to fertilizers and pesticides. The fertilizers and pesticides will help to ensure that Pacita’s crops come out healthy, clean, and not ruined by insects and other pests. In the Philippines where Pacita lives and will be raising her crops, the average annual income is $7,000. This means that a $175 microloan can really go along way toward helping Pacita meet her business needs. In the future, Pacita hopes to sustain her business and would love to open another line of businesses. However, in order to do this, she needs to make sure that she produces good cocoa and rice crops. If she does, she can sell them, and re-invest the profits into her business. The microloan of $175 is designed as a tool to help Pacita grow her business, rather than a crutch to lean on. Like many entrepreneurs, Pacita needs some capital to work with on the short-term, but in the long-term, her business has the potential to generate all of the capital it will need by itself. The field partner for this loan is Paglaum Multi-Purpose Cooperative (PMPC). PMPC was founded in 1992 by the beneficiaries, parents and staff of the Paglaum Community Development Foundation to address economic and livelihood activities for sustainability. The organization operates in the northwestern provinces of Mindanao and Visayas. In the local vernacular, “paglaum” means “hope”. The initial foundation is dedicated to child development through a holistic approach. The goal is to build self-reliance and expand opportunity so the poorest of the poor can help themselves. help to ensure that her crops come out strong, clean, and healthy. This can help Pacita maximize the profits from her sales, and give her the best shot to help keep her business growing.